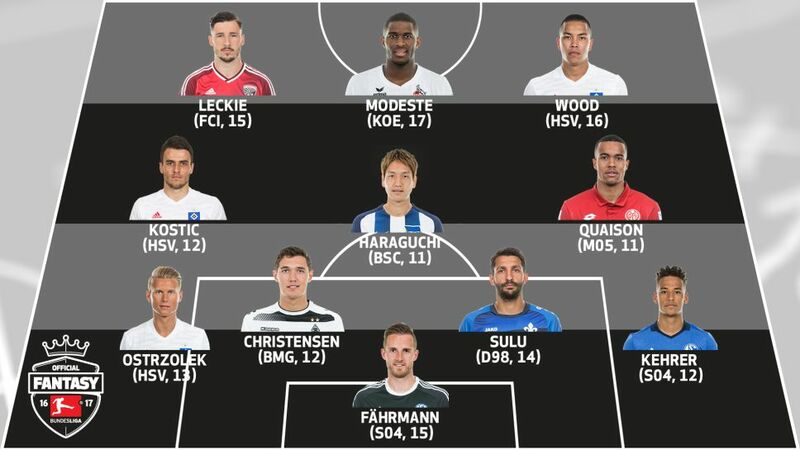 USMNT striker Bobby Wood is one of three Hamburg players to make the Official Fantasy Bundesliga Team of the Week. How did your Official Fantasy Bundesliga rank on Matchday 24? Click here to find out! Kept a clean sheet in Schalke's 3-0 win over Augsburg, becoming the first goalkeeper in Bundesliga history to save a penalty from Paul Verhaegh for good measure. Worked his socks off in Hertha's 2-1 victory at home to Borussia Dortmund, winning 17 challenges and rattling off two efforts on goal. Scored with his first shot on goal on his first start, albeit in a losing effort to Darmstadt. Scored his first Bundesliga goal of the season to bring HSV level in Gladbach, and had a big say in Bobby Wood's winner.